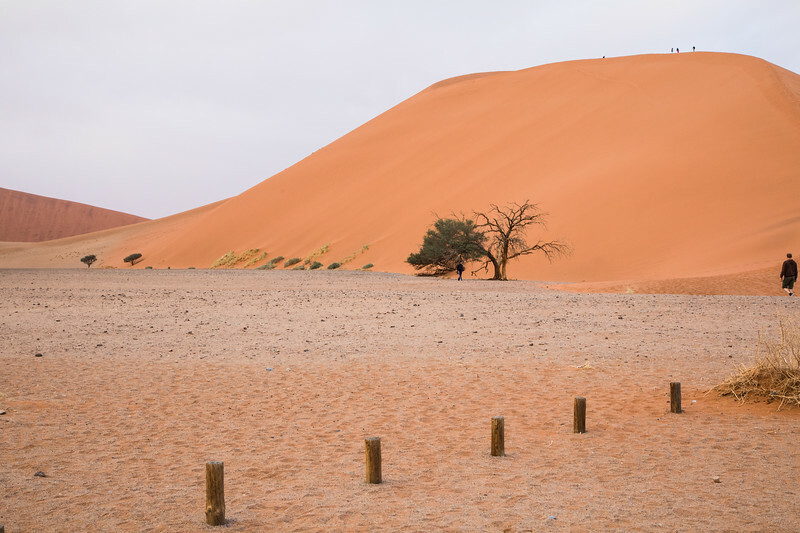 Sossuvlei. People on top of Dune 45. Named Dune 45 because it is located at 45 km from the road that connects the Sesriem gate to this site. Gorgeous sand in different tones of red and orange.